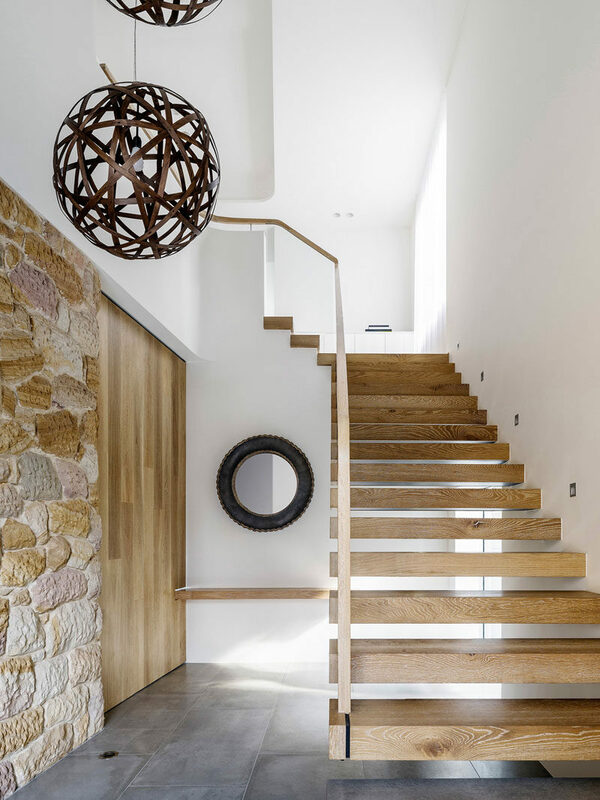 Luigi Rosselli Architects designed the interior for this house in Sydney, Australia, and as part of the design, the house features a large wood pocket door. 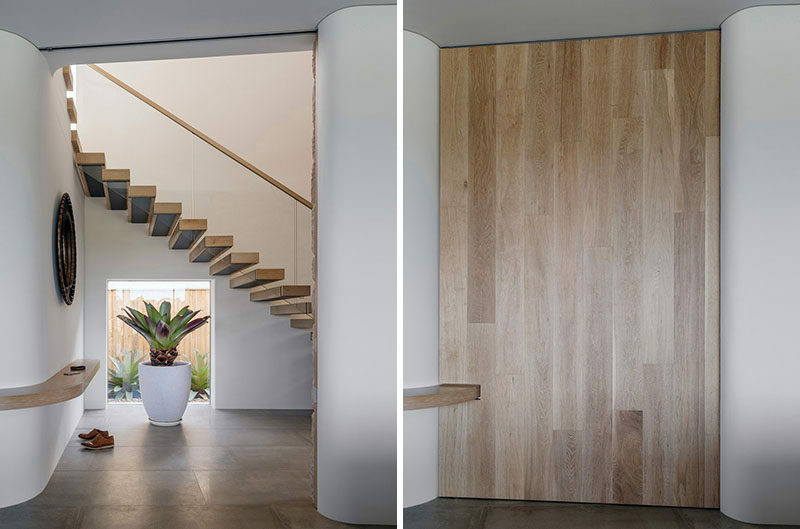 The large sliding wood door can be closed to separate the entryway from the main living area of the home. A curved floating wood shelf between the two spaces is the ideal spot for dropping your keys and phone when you walk inside. 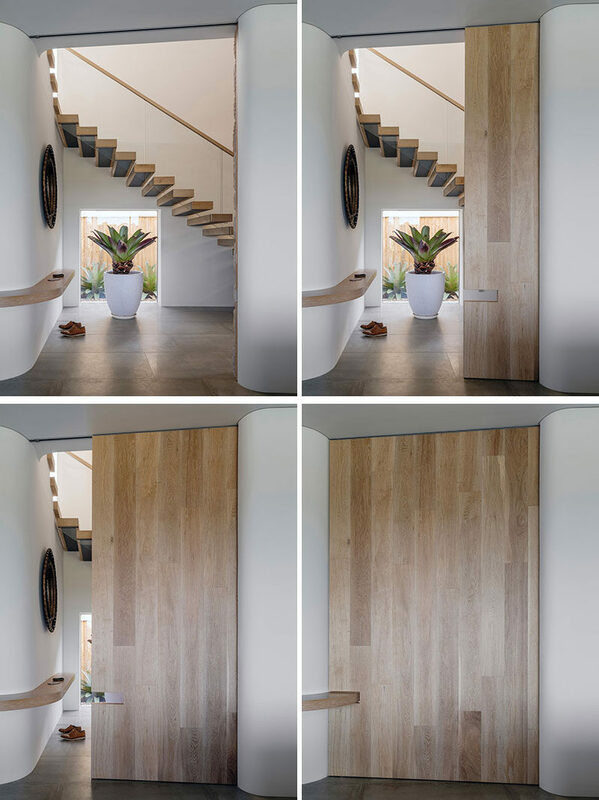 One unique design feature is that the door has a cut-out that allows it to close around a shelf that travels between the entryway and the living area. 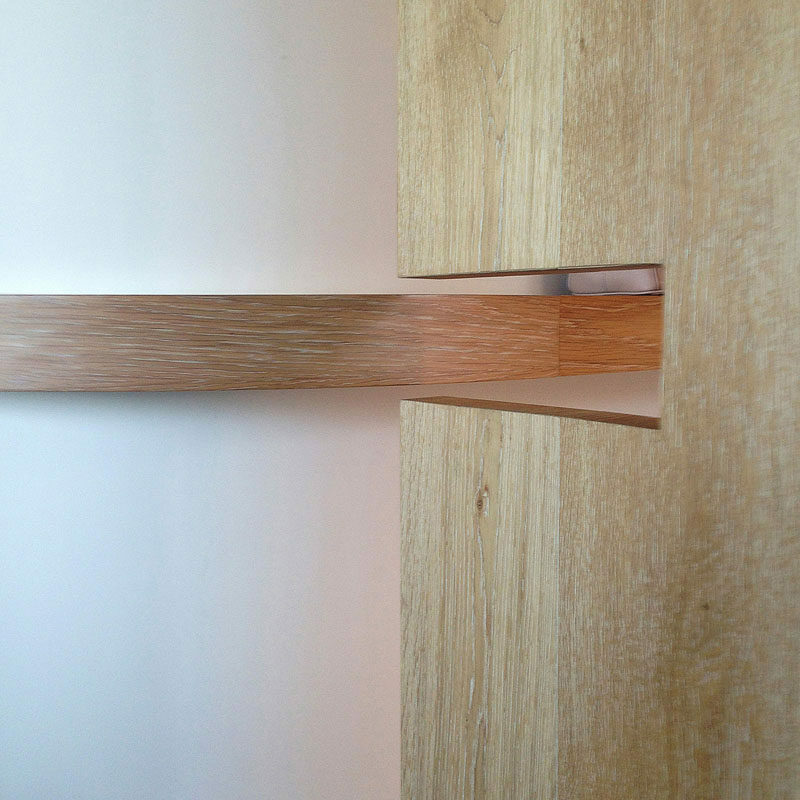 Here’s a closer look at the curved wood floating shelf and the cutout of the door.